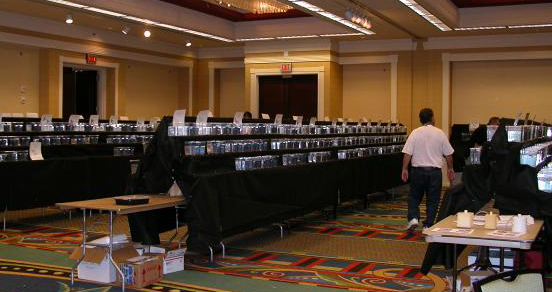 The International Fancy Guppy Association has several affiliated clubs that sponsors shows each year. Exhibitors accumilate points for wins from 1st to 4th place in each color class throughout the show season. At the annual IFGA meeting the winners are announced and given awards. The show at the IFGA annual meeting marks the first show of the show season. The complete list of winners can be seen on the IFGA website. www.ifga.org. Click on the links below to see pictures from the shows listed.